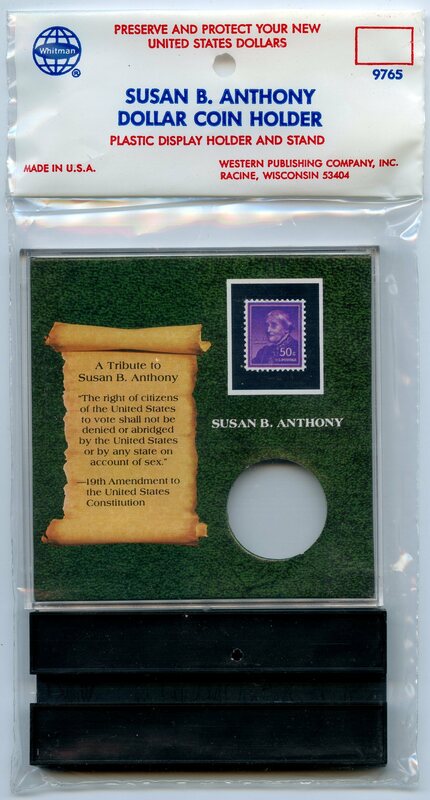 Background has a replica of the 50c Susan B. Anthony US Postal Stamp and A Tribute to Susan in the left and her fight for the 19th. Amendment to the United States Constitution. 3-3/4" x 3-3/4" , Includes black base stand. Holders allows for viewing both sides of the coin. 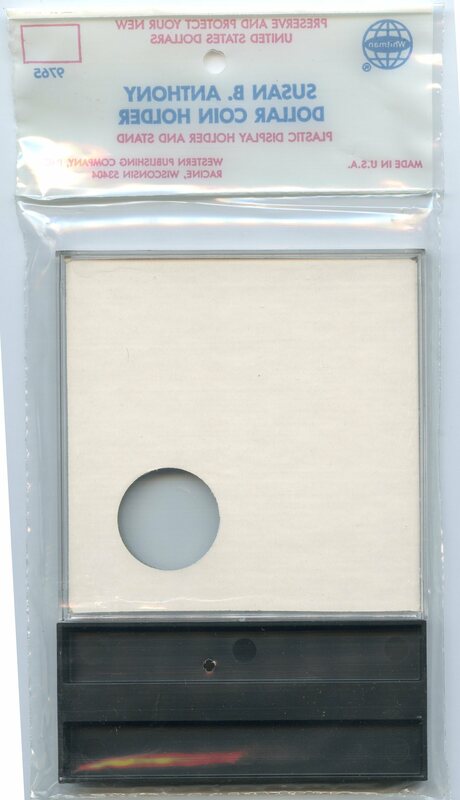 Reverse of the display card is white.